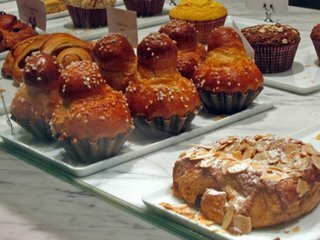 Today I went to Bouchon Bakery for lunch. 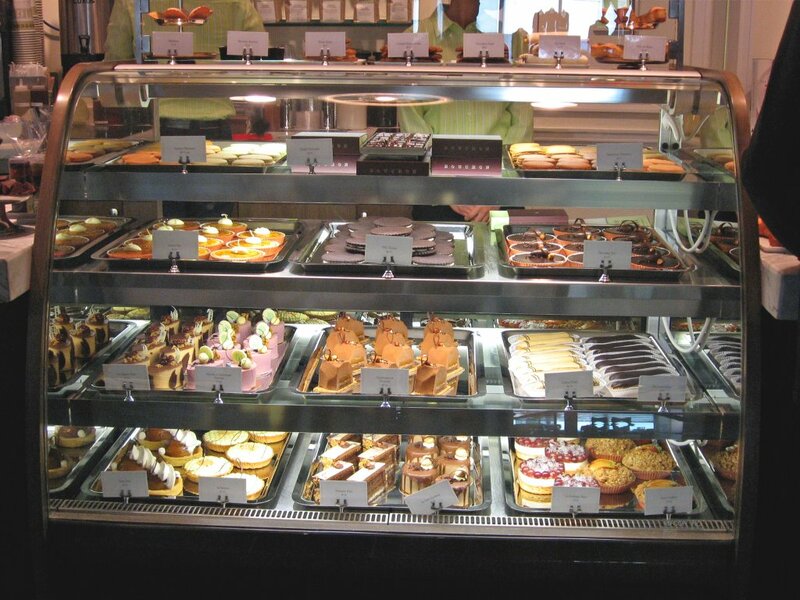 Yeah, I know I have an addiction of sorts to Bouchon Bakery. It’s the only place that I could mostly confide in that has really good food but at least I don’t go there everyday…yet. hehehe… I would’ve gone downtown to Union Square if I knew my history professor would be out again. Grrr… *sighs* I guess everything happens for a reason. 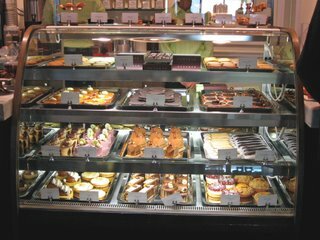 Anyways, the food…the food of choice for today is a small coffee ($1.85), plain croissant ($2.75) and a pumpkin macaroon ($2.75), with tax it’s $7.97. I know it’s not real food per se, but I’m not willing to part $9-$11 for a tuna nicoise or pork sandwich. I’m not that hungry, I’m in a snacking mood now. I’ve chatted a little with two employees about their macaroons because I just had a sudden craving for one. So, the one who took my order I asked what flavors they have today. She replied that they have the vanilla, chocolate, caramel, and the seasonal flavors; one of which she mentioned was pumpkin. I said to her,”Pumpkin seems interesting.” and she said, “Today’s the debut of this flavor.” so, I ordered one. Then the guy who rung up the order who saw my pumpkin macaroon commented that it’s “so good.” They’re buttering me up for this, man. I’m thinking they better be right or hell would break loose. So, I managed to get a table with a good view outside of the building, very close to the gargantuan Samsung sign but not under it. Start unwrapping my goodies and took snapshots as you can see. Everything looks delectable. 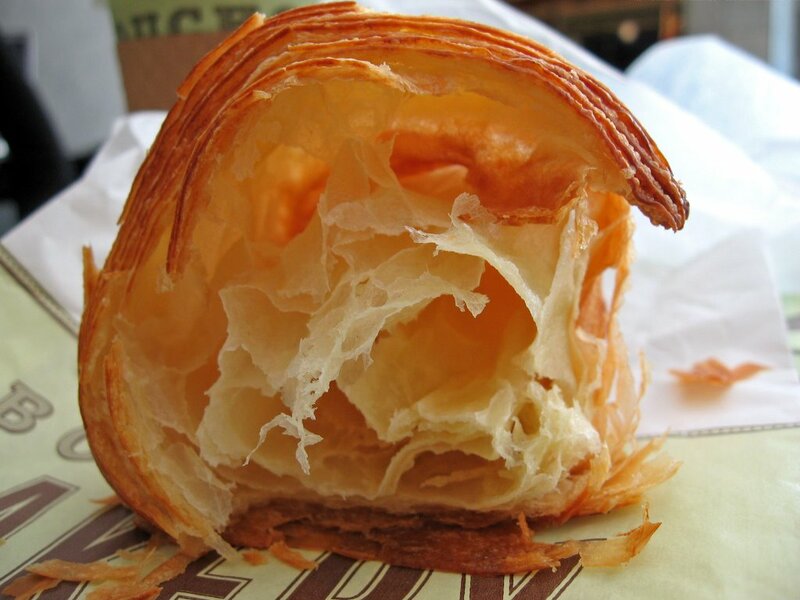 The croissant is flaky, crisp and buttery. Not greasy but somehow, I feel that it’s not fresh enough in comparison to City Bakery. 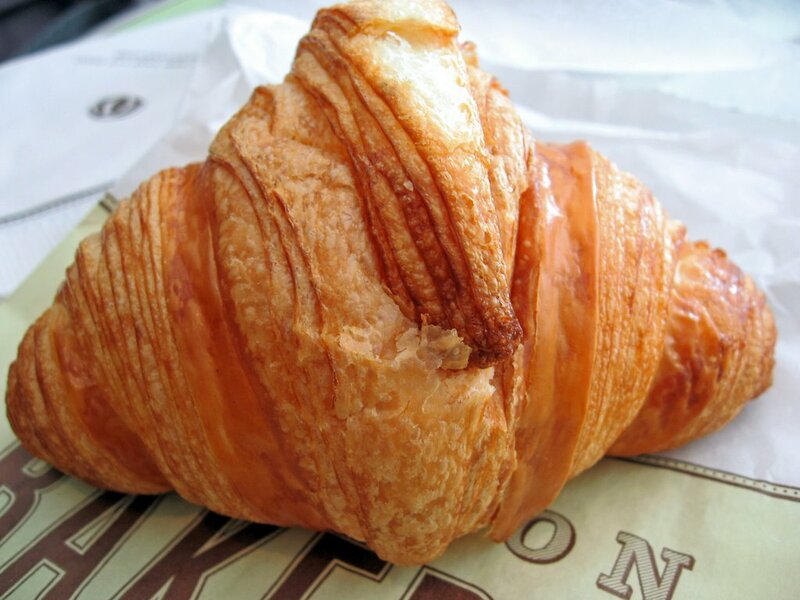 (More on croissants once I visit a few more places). The pumpkin macaroon is divine! Crisp, light outer shell. 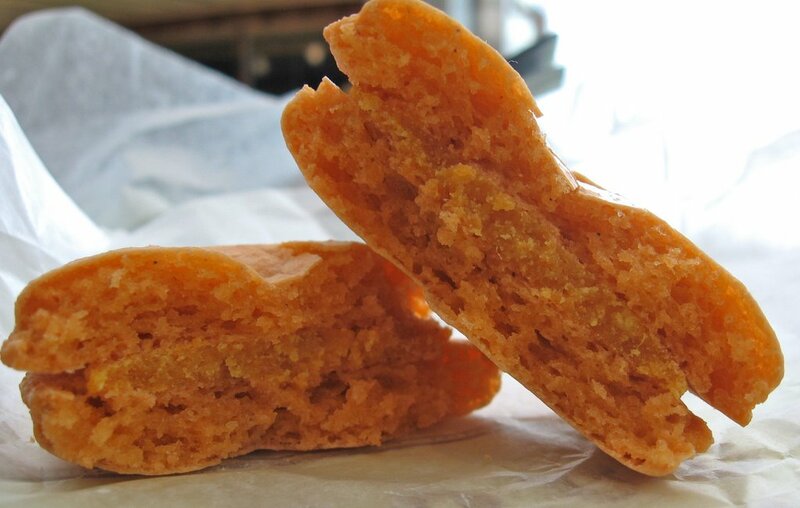 Moist, soft, and chewy interior…most of the desirable characteristics of a very good French macaroon. The pumpkin flavor is spot on. It has a good pumpkin-y flavor that is not overbearing with the spice, which most pastries like muffins, etc. have a downfall on, in which the pastry would have too much cloves or allspice. This is near perfection; certainly one of the best macaroons I’ve had in a long time. Who Has the Best Croissants in NYC? Nah, it’s totally real food. The first time I went to Bouchon I tried a gazillion things with a friend. I think we spent about $20 each. >__< Mmhm I know where I’m going when I go back home. Pumpkin macaron sounds so good!